The coastal region of West Cumbria has a fascinating industrial history, which can be discovered in local museums and heritage centres. Shipbuilding, coal and iron ore mining, steel making, and chemical manufacture have all been major employers, none of which exist any more. 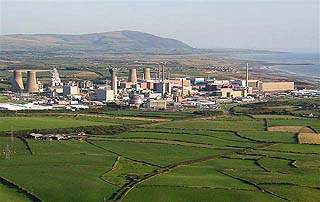 The only major industrial employer now is the nuclear facility at Sellafield, near Seascale, though there are several industrial sites at Siddick, north of Workington. Apart from the nearby fell walking in the Lake District, there are several intriguing old Victorian seaside resorts – Seascale, St Bees, Allonby, and Silloth, which have fine beaches and cater well for tourists and holiday makers. 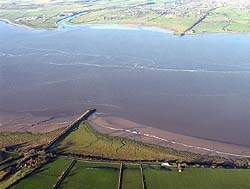 Hadrian’s Wall extended in the West to Bowness-on-Solway, but there are other Roman remains to see, including the milefortlet at Crosscanonby, and the fort at Maryport. 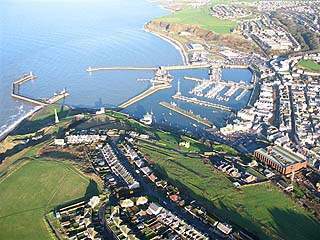 Whitehaven is the main administrative centre for Copeland Borough Council, and Workington for Allerdale Borough Council. 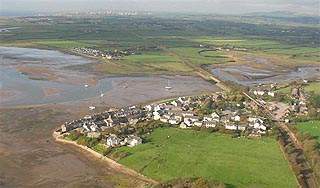 Ravenglass is the only coastal town within the Lake District National Park, and lies on the estuary of three rivers – the Esk, the Mite and the Irt. Ravenglass became an important naval base for the Romans in the 2nd century, GLANNAVENTA, though little remains of this now. The main street is paved with sea cobbles, which leads up from the shingle beach. 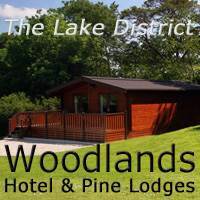 Places of interest – Ravenglass and Eskdale Railway, Roman Bath House, Muncaster Castle and Owl Centre. The small village of Drigg has little to attract visitors, apart from the beach and the sand dunes. The dunes, along with those at nearby Eskmeals, are both Sites of Special Scientific Interest.Drigg is the site of the UK’s national low level radioactive waste repository. 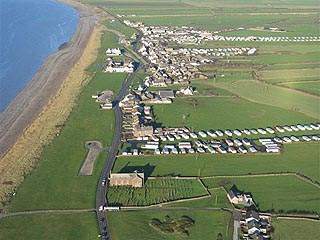 Seascale is a small attractive seaside resort, significantly enhanced in Victorian times by the introduction of the Furness Railway. Rich in history, the village can trace its origins back to an early Norse settlement and to Roman Britain. 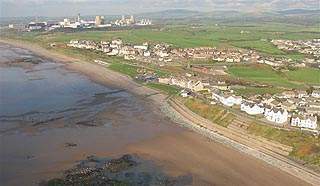 Just north of Seascale is the Sellafield site. Here is the site of the world’s first commercial nuclear power station, Calder Hall, operating from the early 1950’s until 2004, and the Windscale Nuclear Reactor (Piles). Here also is the Sellafield Reprocessing Plant – a controversial site that converts the spent fuel from nuclear reactors worldwide into re-useable uranium, plutonium, and highly radioactive fission products that will have to be safely stored for thousands of years. The village of St. 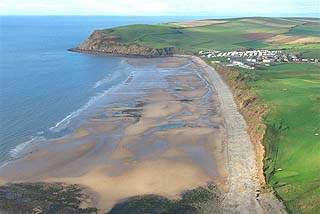 Bees is on the western coast of Cumbria, at the end of a long valley, four miles south of Whitehaven. It has a long sandy beach, and is a popular holiday resort. 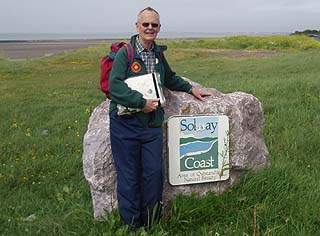 Nearby, the rocky promontory of St Bees Head, the westernmost point of Cumbria, is the start of the ‘Coast to Coast walk’. This Georgian town was one of the first post-renaissance planned towns in the country. 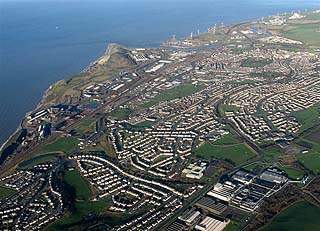 Built on shipping and mining, both industries have now declined, but Whitehaven is never-the-less an attractive town, and is one of the 40 Gem Towns in England. Places of interest: Workington Hall, Jane Pit, Helena Thompson Museum. 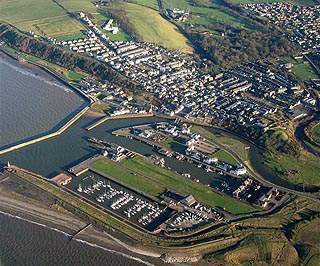 The modern town of Maryport was the creation of the Senhouse family in the 18th century, who developed the small fishing village into a coal port. Like Whitehaven, it was a planned town with terraces of cottages built on a grid system, with employment centering on coal mining and ship building. 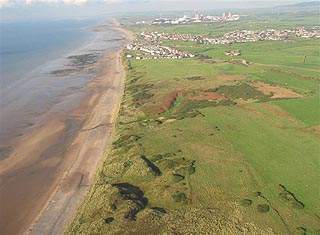 Crosscanonby Milefortlet and Saltpans, the first total excavation of a milefortlet, and a designated World Heritage Site, reveals a wealth of information about the lifestyle of Roman troops in Britain. 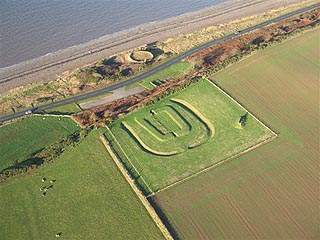 The Solway Coast Area of Outstanding Natural Beauty (AONB) has been relatively unchanged since becoming a designated area in 1964. 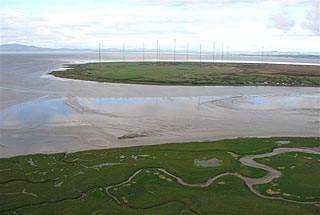 The area covers most of the English Solway Firth coastline from Rockcliffe to Maryport, with the exception of the town of Silloth. 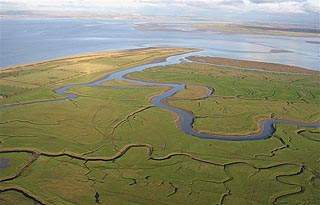 There is a wide range of habitats, all of which are fragile, including the sand dune coast, the salt marsh coast, the raised mires and the agricultural land. The area is renowned for its spectacular sunsets. 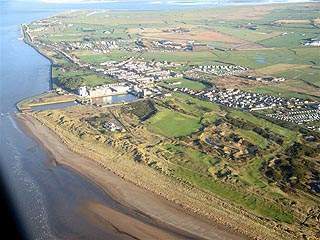 Allonby is a small village on the north west coast of Cumbria, between Maryport and Silloth, in a designated Area of Outstanding Beauty. It has a long sandy beech, with fine views across the Solway Estuary to the mountains of Southern Scotland. Silloth is a small town facing the hills of Southern Galloway and backed by the Lake District Fells. Silloth is noted for its invigorating but mild climate, its leisurely peaceful atmosphere and perhaps, most of all, its glorious sea views and sunsets. The clean air seems to have been the main attraction, clean air being rather a rare occurrence in Victorian Britain. The wide street planning, tree-lined cobbled streets and stunning promenade are notably of Victorian design. Skinburness is a small hamlet a mile north of Silloth, consisting of houses and an abandoned hotel. There are wonderful extensive views over the sea to Dumfries and Galloway beyond. 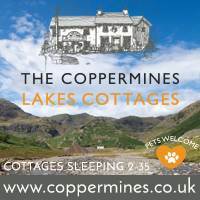 The surrounding area is one of Special Scientific Interest, with miles of unspoilt coastline affording wonderful opportunities for walking and bird watching. The remote village of Anthorn, sited on a blunt peninsula on the north bank of the Wampool estuary by the shores of the Solway Firth. Much of this mossy land was drained in the 1800s for agricultural use, but mudflats and tidal sands still dominate the landscape. A number of species of birds can be spotted in the marshes. 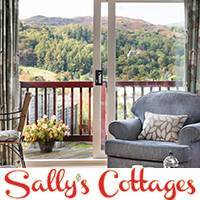 Bowness-on-Solway lies within the Solway Coast Area of Outstanding Natural Beauty, west of the City of Carlisle. Bowness is the Western end of the Hadrian’s Wall National Trail. In 1869 a rail line, the Solway Junction Railway, was opened between Bowness and Annan in Scotland, connecting to the Maryport and Carlisle railway with a one mile 176 yard long iron girder viaduct.